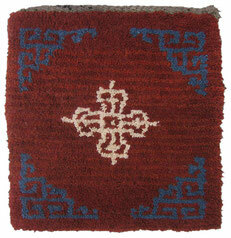 Antique Tibetan rugs are an Caprice in the world of Oriental rugs, small jewels for the good mood. While traveling in a remote valley in central Tibet in 1995, we discovered the place of origin of the Wangden rugs named after this area. We found rug knotting families who still remembered the age-old manufacturing tradition and commissioned our first pieces. 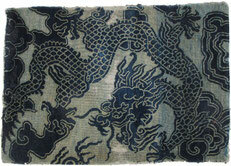 The results of this revived form of folk art were first shown in the winter of 1997 in the Indigo Gallery in Kathmandu, Nepal.